I don’t know. 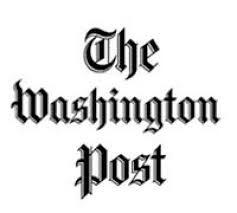 I was a regional correspondent for the Post, covering New England, from 1989 to 1997. Glasser did not join the Post until 1998, so we did not overlap. What I do know is that at the Post, she would have had few role models for newsroom management, because the Post newsroom was terribly mismanaged during that period. With one notable exception (the estimable Bill Elsen), the editors I had to work with at the Post were not up to the job. In a story from 2008, the Times described with happened to Glasser when she crashed as an AME (asst. managing editor, a powerful job at the Post) in charge of national news and had to be sacked by Len Downie. When she was named an assistant managing editor in November 2006, Ms. Glasser was praised by Mr. Downie as “one of our most talented and visionary journalists.” Several Post reporters who spoke about Ms. Glasser on Tuesday said that they agreed with that description, and that Ms. Glasser, while often demanding, recognized that newspapers had to think more imaginatively had the era of declining circulation and the rise of the Internet. But morale suffered under Ms. Glasser’s leadership, to the extent that in recent weeks a high-ranking Post editor surveyed people on the national staff to gauge just how bad feelings were running, people at the newspaper said. The morale report was conveyed recently to Mr. Downie, who was said to have been dismayed by the findings. What is not to be missed there and what is so typical of the Post is that things were allowed to get so bad in the first place. It’s also a bit of a mystery to me how Glasser was supposed to oversee national news when the Post had closed all its domestic bureaus. Anyway, she left the Post later in 2008 and became the editor in chief of Foreign Policy. Now, she is jumping to Politico, where she will be in charge of two initiatives: long-form non-fiction (a new area for Politico, which has the journalistic equivalent of ADHD) and posting of opinion pieces by outside contributors. Both of those are welcome experiments for Politico, in my book, and I wish them well. Mr. VandeHei said the site was putting “several million” dollars behind the new operations and would seek to hire a dozen new reporters. Now, that is definitely good news. A serious digital news source is making enough money to expand and hire more reporters. Bravo. 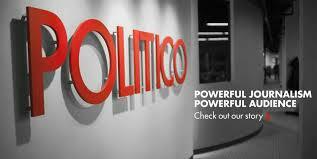 Here is Politico’s own coverage of the move. Susan Glasser is editor in chief of Foreign Policy, the magazine of global politics, economics, and ideas. A longtime foreign correspondent and editor for the Washington Post, Glasser joined Foreign Policy in 2008 and has been spearheading the magazine’s ambitious expansion in print and online at ForeignPolicy.com. During her tenure, the magazine has won numerous awards for its innovative coverage, including the 2012 award for online general excellence from the Overseas Press Club and three National Magazine Awards, for digital excellence in reporting, blogging, and multimedia. FP’s ten nominations for the awards including being a 2011 finalist for “Magazine of the Year,” the industry’s highest honor. Glasser spent four years as co-chief of the Post‘s Moscow bureau and covered the wars in Afghanistan and Iraq for the Post in the immediate aftermath of 9/11, including the battle of Tora Bora and the invasion of Iraq. After returning to Washington, she edited the Post’s weekly Outlook section and led its national news coverage. Together with her husband, New York Times White House correspondent Peter Baker, she wrote Kremlin Rising: Vladimir Putin’s Russia and the End of Revolution. Glasser previously worked for eight years at the Capitol Hill newspaper Roll Call, where she rose to be the top editor. She has served as chair of the Pulitzer Prize jury for international reporting and is a member of the World Economic Forum’s Global Agenda Council on the United States. A graduate of Harvard University, Glasser lives in Washington with Baker and their son.